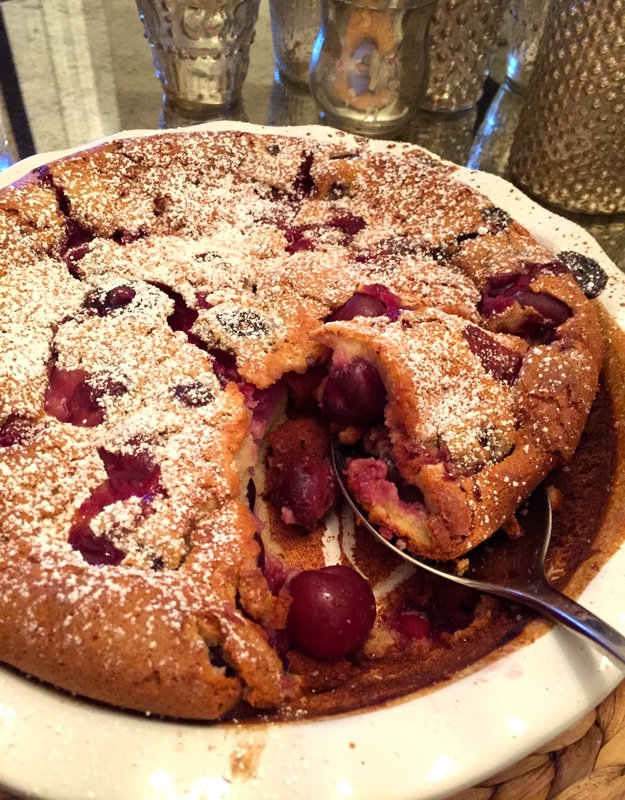 So with all the amazing cherry’s floating around the last few weeks I have been making a lot of this beautiful French dessert. 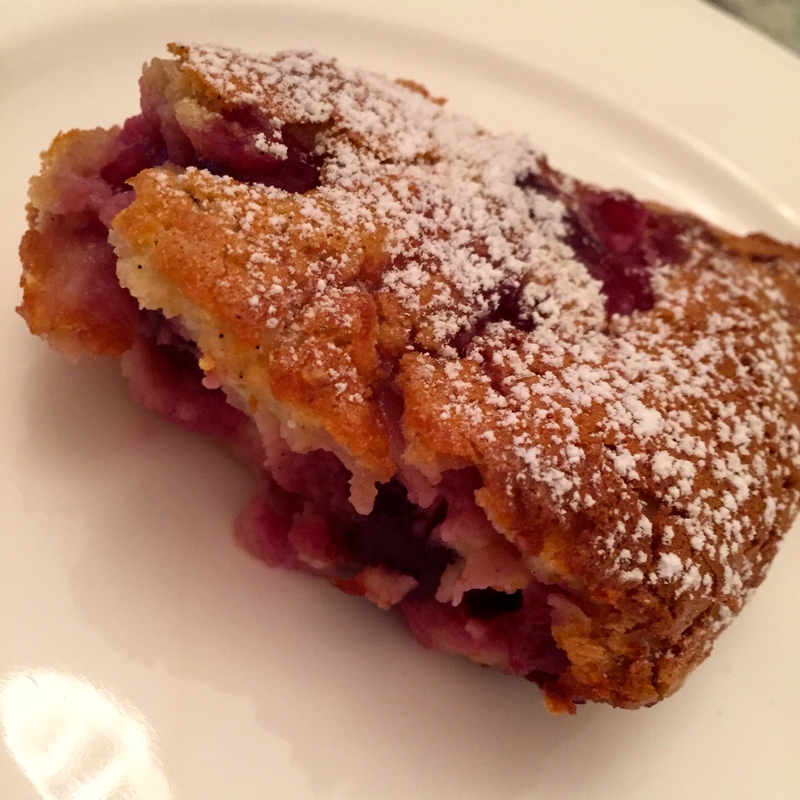 Its not too sweet with only 1/4 cup of sugar and is really delicious! Its so easy that my two girls made it last night and it came out perfect. 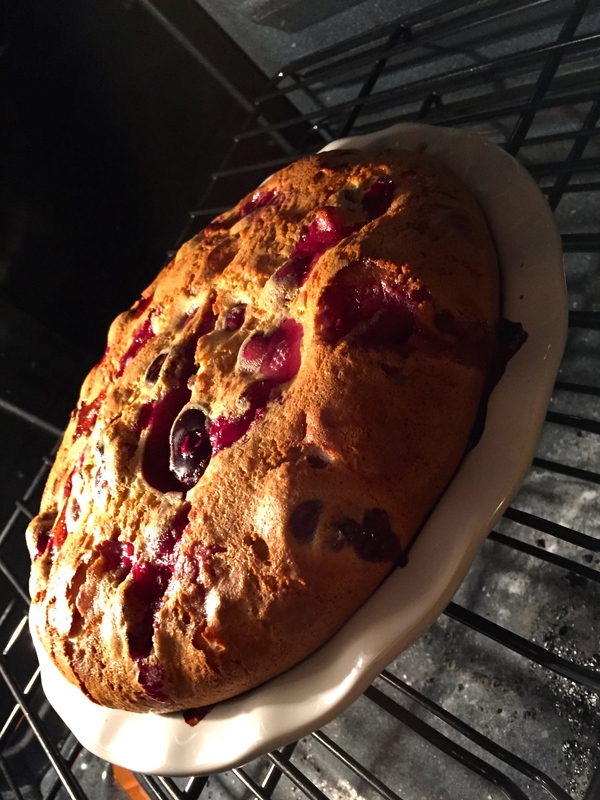 It is tradition to leave the stone’s in the cherries as the stones impart an almost almond like flavor into the clafoutis. It’s also pretty fun to play “tinker tailor” with the stones left on their plate and have everyone tell their fortune on the table after they are done devouring it! Preheat ove to 180C or 350F. Whisk the eggs with he sugar and flour, then stir in the cream, milk and vanilla. Add the kirsch and cherries and stir well. 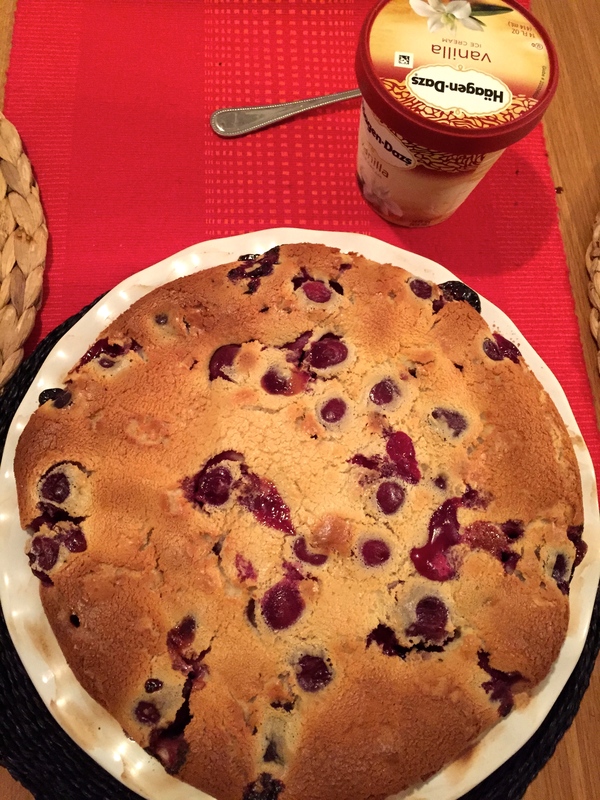 Rub butter around a 23 cm or 9 inch round baking dish, pour in the clafoutis mix and bake for 30 – 35 ( mine usually takes 50 minutes) minutes or until golden on top. Dust with icing sugar and serve.